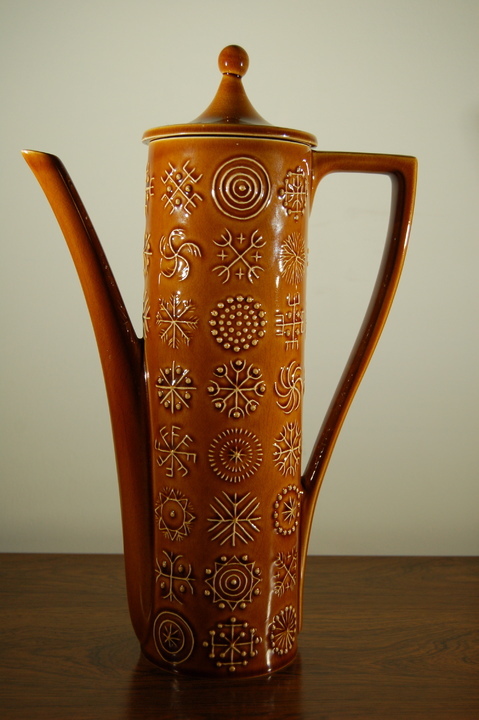 Amber 'Totem' coffee pot, by Susan Williams-Ellis for Portmeirion Pottery, Stoke-on-Trent, in perfect condition with embossed stamp on base. 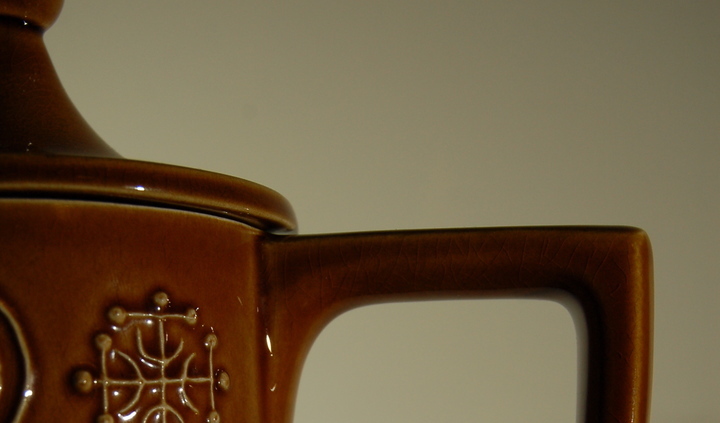 Totem is the range that defined Portmeirion Pottery in the 1960s. Susan William-Ellis combined the Portmeirion 'Cylinder' shape with patterns derived from native American Indian cultural art in raised relief. The glazing highlights the raised patterns in a startling way. Totem was produced in amber, olive green, blue and a rare white finish. The coffee set is the most iconic design of the series.